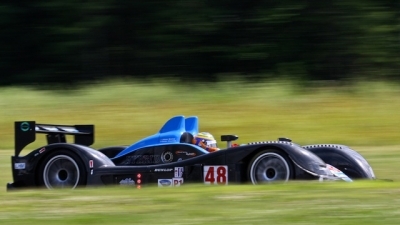 Rangoni Motorsport to campaign Zytek 09SH in five-round LMS season and 24 Hours of Le Mans. On the heels of Hope PoleVision’s announcement that it would campaign an Oreca 01 Lehman Hybrid in the Intercontinental Le Mans Cup comes the news of a second privateer hybrid that’s destined for Europe. Zytek announced Friday that it’s reached an agreement with Rangoni Motorsport to campaign a Zytek 09SH in the Le Mans Series and 24 Hours of Le Mans, pending an invitation from the ACO. The Italian squad, formed in 2004 by brothers Mirko, Luca and Michael Rangoni, will compete in the LMP1 category with a revised hybrid system, believed to be flywheel-based. “Zytek Engineering is delighted to enter into this partnership with Ferdinando Geri,” said Operations Director John Manchester. “We firmly believe that the collaboration with Rangoni Motorsport and also the introduction of the groundbreaking ZPH hybrid technology is going to produce great success over the coming seasons. Zytek became the first prototype constructor to employ hybrid technology in 2009 when it used a production battery-based system in Corsa Motorsports’ Ginetta-Zytek 09S in the American Le Mans Series. Enjoying mixed results, the Steve Pruitt-owned team failed to return to the series last year, but Zytek continued to explore new options with its cutting-edge technology. Now with the ACO’s regulations opened up to also allow flywheel-based hybrids, Zytek has introduced a new generation unit. Former Italian F3 champion Luca Rangoni will share the wheel of the LMP1 entry with 2007 FIA GT champion Thomas Biagi and LMP2 veteran Ferdinando Geri. Biagi and Geri were previously paired together with fellow Italian squad Racing Box in the LMS. Powered by Zytek’s 3.4-liter V8 engine, the car is likely to start the season off as a non-hybrid before being converted to the system mid-year. Rangoni and Hope PoleVision Racing are not the only teams that will take advantage of this alternative technology, as Peugeot's new LMP1 coupe, codenamed the 90X, is heavily believed to also be a hybrid. The French manufacturer will take wraps off its new contender on Feb. 3 in Paris.